In this book, Sporty and Harley's adventures continue as they go back in time to save the young Sporty from an alien attack that will leave both superheroes powerless. But with evil robots that are programmed to seek out their targets at all cost, how will Sporty and Harley stop the mechanical menaces? A fun children's book with an imaginative plot and lovable characters ... There is no shortage of action or adventure in this book! -- Review of The Mechanical Menaces from Parakeet Reviews | Ebook Review Blog. Full review here. 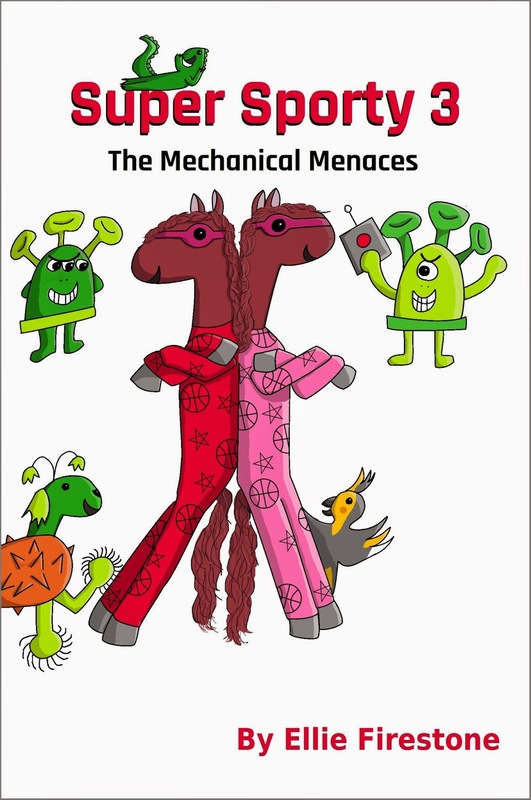 -- 5 starred review of The Mechanical Menaces from Charity Rowell-Stansbury of On My Kindle Book Reviews. Full review here.